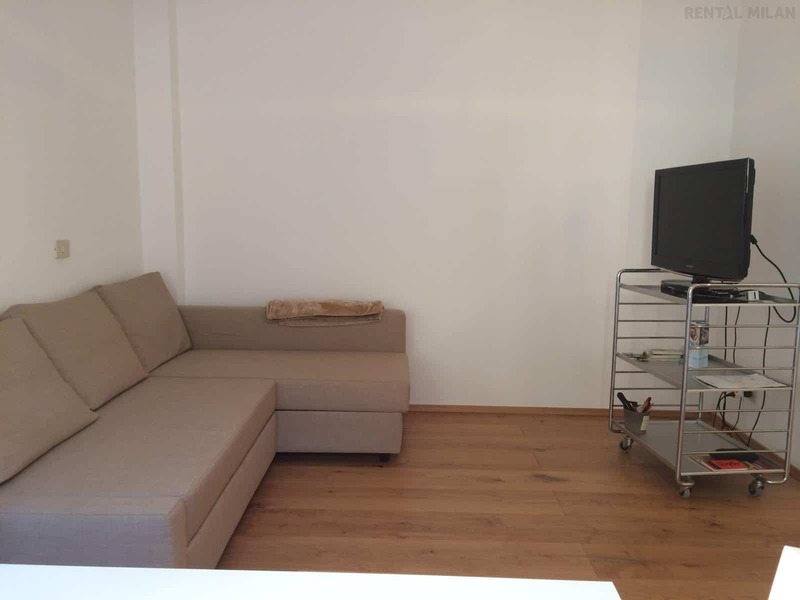 Modern and bright 1 bedroom apartment, recently renovated, with all the comforts. The apartment is located in its white modern building, similar to a little villa, inside a courtyard of a typical building. Coming out from the apartment, on the left there is an architect house. Always on the left, the other building, is a sawmill, but it’s not noisy, nor dusty. Only thing is that from 8:30 to 5 pm there can be a few workers walking in the courtyard. Thanks to the sheer blinds in every windows, your privacy is always guaranteed! Entering in the apartment there is the living room with a comfortable sofa double bed, TV, table and chairs. Modern fully equipped kitchen with peninsula table and 2 footstools. Bedroom with a doubled and a walk-in closet. Air conditioning, floor heating, TV, high speed internet, washing machine, dish washer, electric oven, espresso machine. Doorman service in the main building facing the street. You can easily reach by public transports the main universities: Bocconi, NABA, Cattolica and Marangoni.